Having already signed up 400 users from around the world, Halifax-based Ocean Executive is planning for the full launch of its online wholesale seafood marketplace in December. 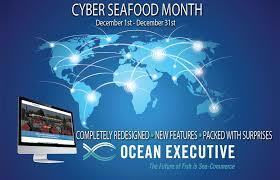 When it’s launched, the Ocean Executive platform will essentially be a marketplace for people buying and selling bulk orders of seafood. But Budreski wants it to be a foundation for a benchmark index for seafood products and use the index to encourage a more sustainable fishery. Budreski came up with the idea for Ocean Executive when he was working in New York trading commodities like oil and gas, and saw the sophistication of the trading platform. He dreamed of creating something similar for the business he knew best, his family’s business, the seafood industry. Seafood is a huge global business, but the supply-chain is fragmented and inefficient. What Ocean Executive does is allow sellers to post the inventory they want to sell, with a full description of the stock so the market can assess the quality of the shipment. Buyers can then bid for the produce, and once they agree on a price the deal closes and Ocean Executive gets a cut. The platform is open to market players around the world, who pay a monthly subscription fee, said Budreski. So, for example, a company in Bangladesh that wants new sales channels could use the platform to expand into the U.S. or Europe, he said. The company has raised a total of $380,000 in equity financing, including $250,000 from Innovacorp. The company is now raising more money and Budreski is interested in meeting more investors. Once the marketplace is fully established, Budreski hopes to use the data from the sales to establish indices of seafood prices — something the industry has never had. Seafood buyers now assess the market by phoning around and asking for prices. Budreski intends for each Ocean Executive index to be timely and based on actual prices paid. One component of the index plan will be to have an index of prices for fish caught through sustainable practises so the market has concrete proof of the premiums paid in the sustainable fishery.